I heard this morning on the radio that his famous “fork” statement was actually correct. It seems that he was telling someone how to reach his house, and part of the trip involved driving on a road that had a fork, and either fork would take the person to Yogi’s house. 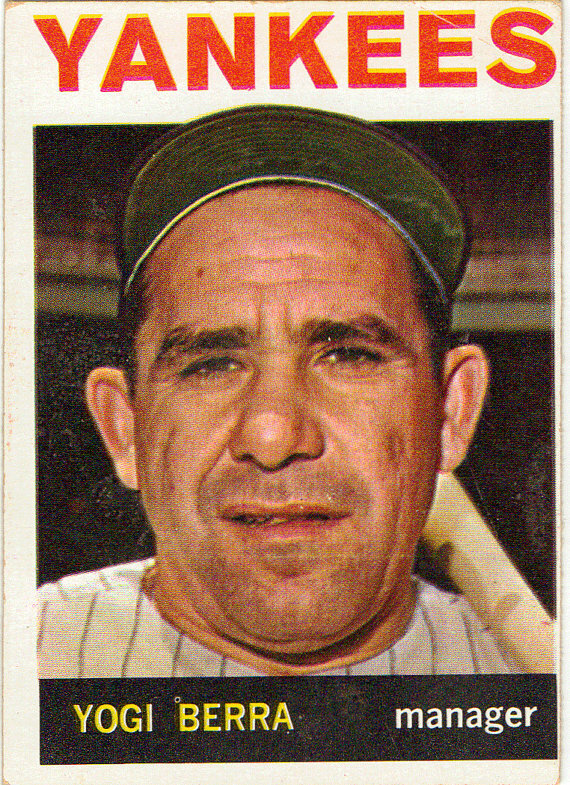 Years ago, I read that few of Yogi’s famous statements were spontaneous. Instead, he worked hard on creating them and then using them at the right time. Might be true, but I prefer not to believe it because the truth isn’t always what it seems to be.